"Will Precision Medicine Be for 'All of Us'? The 'Good Citizen' in an Age of Disparity"
Precision medicine research relies on the massive collection of biospecimens, electronic health records, and other sources of behavioral and environmental data. Towards this effort, the “All of Us” Precision Medicine Initiative aims to enroll one million volunteers from a broad spectrum of the U.S. population into long-term prospective studies. 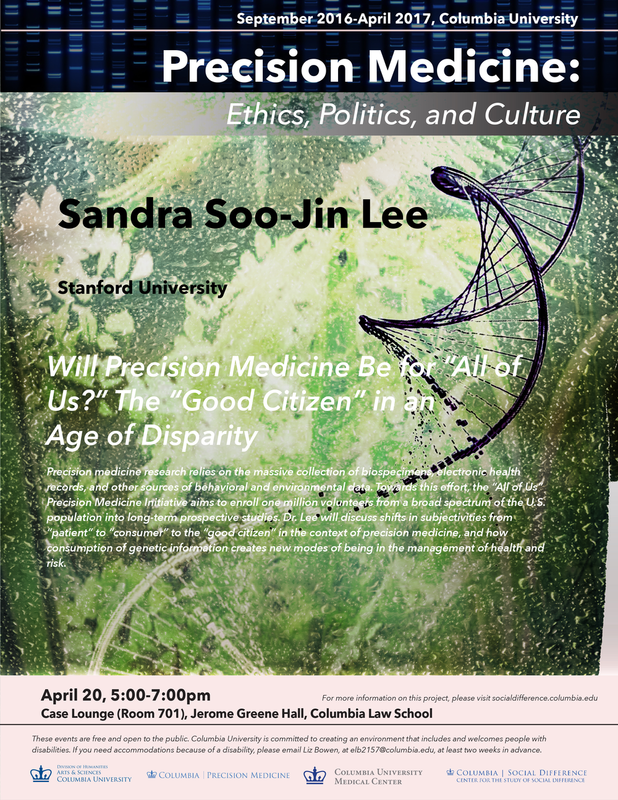 Dr. Lee will discuss shifts in subjectivities from “patient” to “consumer” to the “good citizen” in the context of precision medicine, and how consumption of genetic information creates new modes of being in the management of health and risk.